The health world is increasingly realizing just how prevalent leaky gut – a common but often undiagnosed ailment – actually is. Leaky gut is very often discussed within the paleo community because so many people have it but aren’t aware that they have it and go undiagnosed due to poor education. In this guide, we’ll explain what leaky gut is, how to know if you have it, and how to fix it. Is Leaky Gut For Real? Leaky gut involves a person’s intestinal lining becoming damaged over time (due to a wide range of causes) and becoming much more permeable. This change can result in substances such as toxins, microbes, waste, and other junk passing through into the bloodstream and prompting the body to initiate an immune system reaction that can cause some severe health issues. Leaky gut has a variety of symptoms. It can even affect things that, on the surface, don’t seem to have anything to do with the gut. Gut health is one of those things that most people don’t even consider but which plays a huge role in an individual’s overall health. Good gut health can resolve not only many common digestion and skin issues but also many conditions that, on the surface, appear to have no relationship to food whatsoever. But, as us paleos know, everything comes back to eating real, whole foods. The interesting thing about leaky gut is that, while it’s a very serious condition for many people, and while there are lots of “treatments” out there, very few are reputable. If you run a Google search, you’ll come across a bunch of “treatments” that may or may not be effective. These are mostly natural supplements which can help to different degrees. But every once in a while you’ll see something marketed as Dr. So-and-So’s “secret” leaky gut detox. In the broad majority of cases, be very skeptical of any “secret” detoxes. In our opinion and experience, the best way to fix leaky gut is also the simplest, least expensive, and most natural option..
You can fix leaky gut by fixing your diet. As the old saying goes, garbage in, garbage out. As far as leaky gut goes, it might be garbage in, garbage everywhere. The best way to prevent this is to not put garbage into your body in the first place. 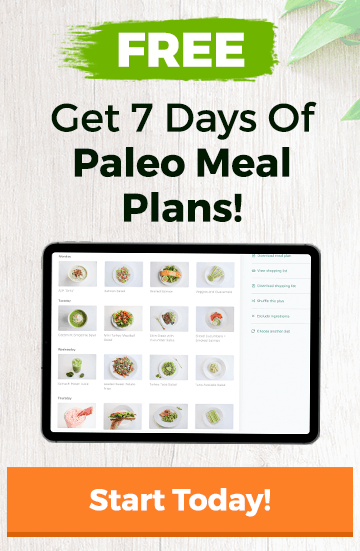 A good place to start is simply with the paleo diet. Our 30 Day Challenge is a great way to start understanding how different foods affect your body. However, as you go on, you might find that you need a little more guidance. That’s where the Leaky Gut Fix comes in. Our friends at the SCD Lifestyle have put together a great course on how to fix leaky gut. You can find more about that here. The best way to know whether or not leaky gut is an issue for you is to test, experiment, and find out for yourself. This costs nothing apart from the occasionally slightly higher price of healthier food options and the ability to consciously decide what you want to put in your body. Nobody cares about your body more than you do. See what works for you, experiment, and find out the best solutions for yourself. Check out the leaky gut fix for more great info. Think you might have leaky gut? Take this quiz.